OSC worked with USAID to develop effective and accountable government institutions in South Sudan, and ultimately the Republic of South Sudan. 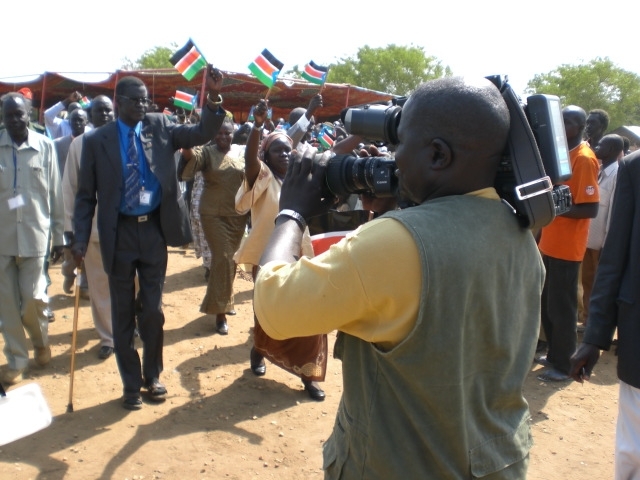 Based on a needs assessment, OSC assisted the Ministry of Information and Broadcasting in efficiently and consistently communicating with the people of South Sudan. OSC and Ministry of Information officials drafted a capacity-building plan detailing specific public information campaign initiatives, training programs, and general skills development within the ministry including: creation of media strategies, identifying target audiences, drafting of press releases and government statements, and improving media outreach. OSC also assisted the Ministry of Information, Radio and Television in the development of regulatory structures to promote independent media in South Sudan. This entailed the creation of a broadcast frequency licensing regime, formation of a corporation to govern an independent public broadcaster, and creation of a framework for implementing procedures to guarantee freedom of information.